Jeanne Gavish,owner and broker, moved to Hernando county, Florida in 1987 and by 1991 she owned and operated three real estate offices. Governor apointee to Board of trustee in Pasco-Hernando Community College in which served three terms. Recently sat as Chairman of the Board, Hernando County Chamber of Commerce and served as part of the Education Committee in Pasco Board of Realtors. In 2001 received her GRI designation as an instructor of a Real Estate School and Mortgage Broker classroom. 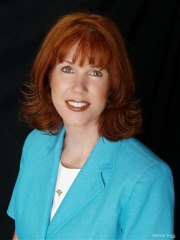 Jeanne has over 18 years experience in various phases of Real Estate. We put all our experience and resources to your service. If you are looking to relocate in the beautiful Nature Coast area, let me help make the transition a positive experience! This page has been visited 1,147 times.